When Victorio “Indra” Senduk returned to the ONE Championship cage for the third time, he faced Sor Sey of Cambodia. They competed on May 12, 2018 in the main card of “ONE: Grit and Glory” at the Jakarta Convention Center in Jakarta, Indonesia. At “ONE: Grit and Glory,” Senduk and Sor battled it out in featherweight division, which is currently dominated by reigning ONE Featherweight and Lightweight World Champion Martin “The Situ-Asian” Nguyen of Australa and Vietnam. With Yuji Shimada as the referee, the featherweight bout between Senduk and Sor was left in the hands of the judges. After three five-minute rounds, Senduk was declared the winner via unanimous decision. This means his undefeated record is still intact. After beating Sor at “ONE: Grit and Glory,” Senduk now has 4 wins and 0 loss. On the other hand, Sor’s record downgraded to 3 wins and 3 losses. Sor made a successful ONE Championship debut on December 5, 2015 at “ONE: Kingdom of Khmer” where he knocked out Chim Chetra via punches. 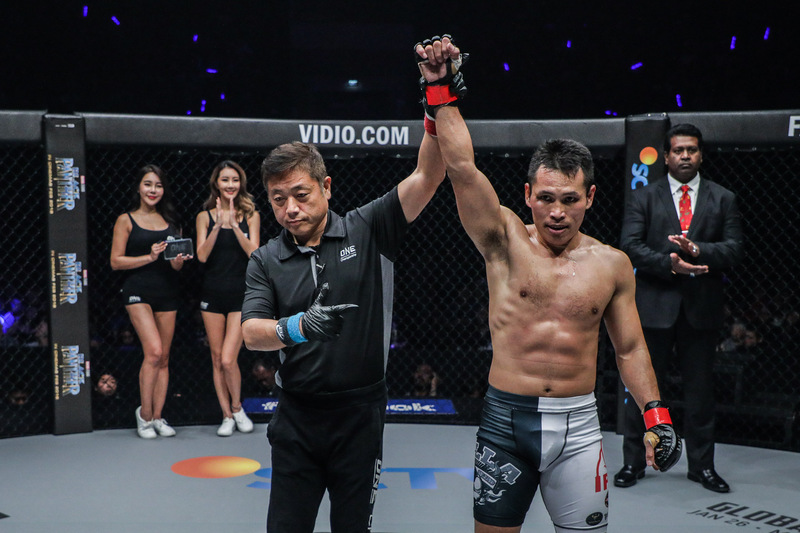 On February 23, 2018, Sor returned to the ONE Championship cage at “ONE: Quest for Gold” where he lost to Phoe Thaw via knockout via front kick. In the co-main event of “ONE: Grit and Glory,” Stefer Rahardian of Indonesia competed against Himanshu Kaushik of India in the strawweight division. In the main event of the evening, reigning ONE Strawweight World Champion Alex Silva of Brazil defended his title from former champion Yoshitaka Naito of Japan in a rematch.